Or it could be a Star Trek Voyager type of situation where one side is forced to integrate with the other. Like how Chakotay's Marqi group joined with Janeway and her crew. Sword looks Long this year! Were there anymore pic of for the patoranger side? Last edited by powerleo; December 31st, 2017 at 08:13 AM. I dont know if it will work but timeless dimetion has a lot of new photos to look at. here is the page. I hope this works! 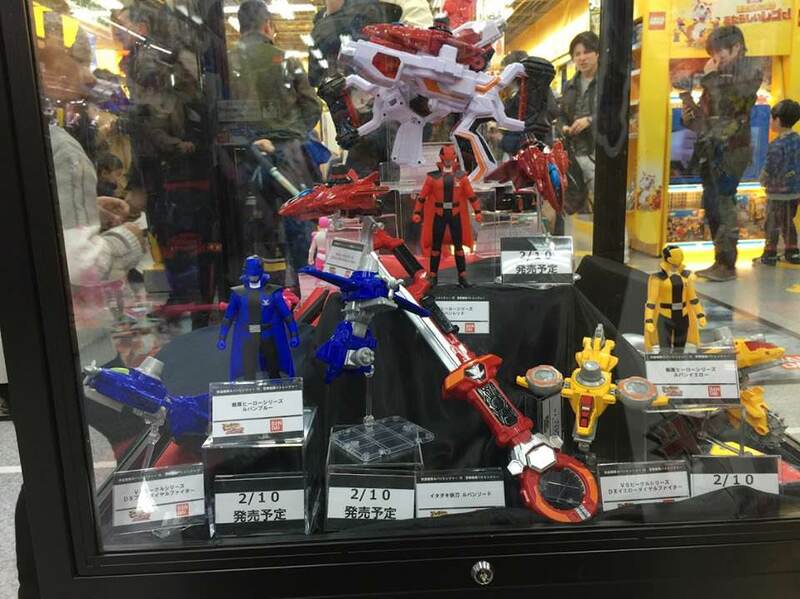 The YU-DO figures look way better than the Kyurangers did. Hope we get a full team this time. Am I the only one who thinks it's a bit backwards having the 'thief' side having th weapon with the handcuff based end? I could see the dial fighters being repainted and remolded as birds for the summer movie mecha if they choose to throw animals in somewhere like in toqger. The shoulder pads might be a different but the knee cuffs are the same. Yes, the style of the suits is very similar, but the colors are not inverted whatsoever. If you do it two-fold, it sort of is. Invert the red and black/white, then switch the black/white around. I imagine that's what Gold means. It's not a literal inversion... I suppose more accurate to say the individual Ranger colour is on opposing parts of the suit for either team. Even then, the upper arms remain the same on both. It's nice to see just how similar the designs actually are. That’s my favorite part of of the designs, the opposite coloring. I really want that Lupin Red figure. Not really backwards if you think. They ARE thieves after all, so stealing handcuffs wouldnt be that far a stretch. I know it's too early to talk about this but I hope we get a silver lupinRanger in a gold patoRanger. It has to happen. 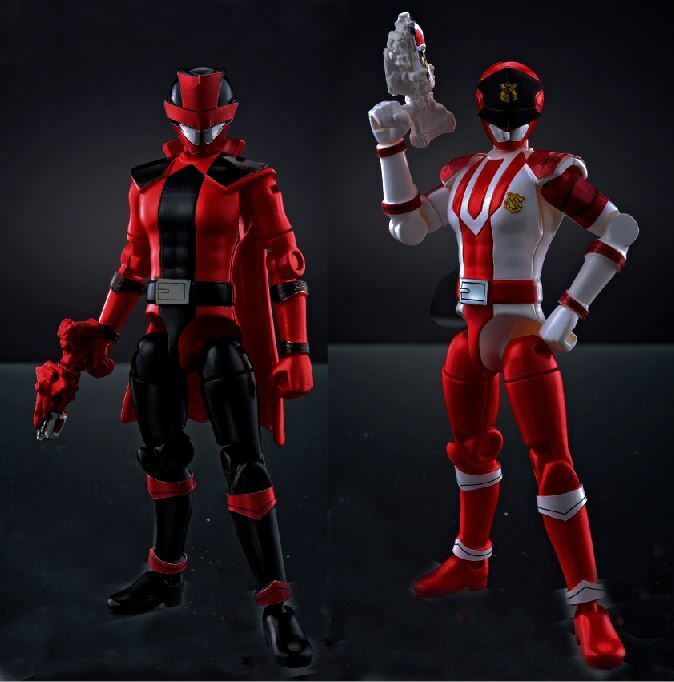 I feel like the opposite-ish coloring on Patoren 1 and Lupin Red could lead to a power-up where both fuse as one ranger. We already know ranger fusion is possible w/ Patoren Ugo, so why not both reds? Silver Lupin and Gold Pat would be cool, especially since they'd match the color of their respective team's badge. I like that they added a mask, top hat, police hat, gun and handcuffs to the display to represent the teams.